In an emotional moment, Cate Blanchett told one family’s story of the refugee crisis. A Syrian family of eight from Homs spent 18 months internally displaced, before deciding to leave the country. As they approached the border, they were fired at. The father "had the choice to carry his suitcases or his children" Blanchett said, almost in tears. "He had to carry his children." Developed countries have only resettled 1% of the world’s 65 million displaced people, the actor highlighted. Developing countries are bearing the burden of the remaining 99%. Blanchett, who is a UNHCR goodwill ambassador, received a WEF Crystal Award at Davos for her leadership in raising awareness of the refugee crisis. Sinéad Burke, a little person, academic and activist, is used to negotiating a world that's not built for her 105cm frame. From being offered children's flashing footwear ("not the thing for the Davos stage") to outfits that infantilise her, Burke addressed broader issues of diversity and accessibility in a "Fostering Inclusivity" panel. The New York Times included Burke in its feature on fashion at Davos. 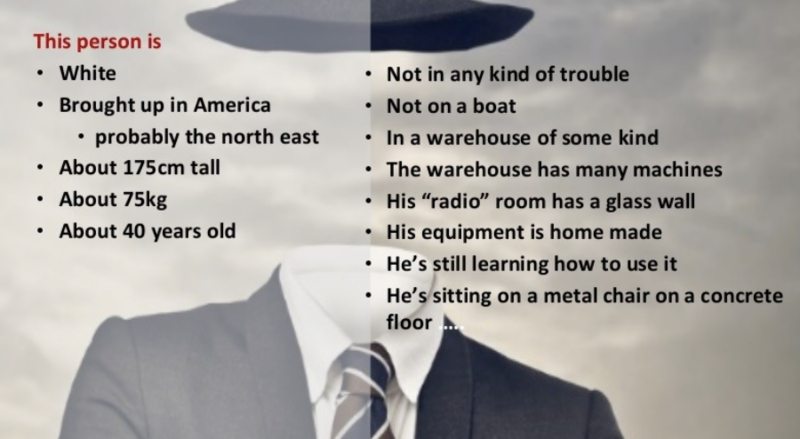 In terms of identity and belonging, "clothes matter", she said. "From a disability perspective, the market equates to 1.3 billion people and has a spending power of $1.2 trillion. The voices of this community are often silenced within the design process and this blinkered approach results in minimized profitability, linear creativity, but most importantly, a more ableist society." Voice is the new fingerprint. Rita Singh, a speech recognition expert from Carnegie Mellon University, described her work on advanced technology that can tell your age, height, weight, facial structure, income level and state of health from just a fraction of a second of audio. Her team is even developing tools to provide police with a 3D visual portrait of a suspect, based on a voice recording. But there’s some way to go before her technology is viable in court. “We're kind of where we were with DNA in 1987, when the first DNA-based conviction took place in the United States", Singh said. The woman who sent a spacecraft to Saturn gave us a guided tour of its icy rings and bright moons, explaining the science lessons for life back here on earth. Linda Spilker, lead scientist on the Cassini mission to Saturn, shared never-before-seen NASA images from the spacecraft’s 13 years orbiting the ringed planet. After using up all its rocket propellant, the Cassini was deliberately burnt up by a 113,000kph plunge into Saturn's atmosphere in September 2017. One of NASA's most successful planetary missions, the Cassini project set out to answer questions including: Are we alone? Could we find life in our own solar system? "It should not be the decision of anyone else to tell women how to dress, how to speak, how to act, how to walk, how to talk", the 20-year-old Nobel laureate told Davos. "As long as it’s that woman’s decision, her choice, it is ok."
Malala also said that educating young men about women’s rights is a crucial step to ending gender inequality. "When we talk about feminism and women’s rights, we’re actually addressing men", she said. Feras Fayyad directed Last Men in Aleppo, a documentary following the siege of Aleppo - his hometown - through the eyes of two members of the White Helmets, a volunteer civil defence group. Last Men in Aleppo has been nominated for an Oscar in the best documentary feature category. It is the first Syrian film to be recognized by the Academy Awards. While making his first documentary about an exiled Syrian dissident, Fayyad was jailed for eight months and tortured. He told us why he does what he does, despite the danger; how Hamlet inspired Last Men in Aleppo; and what being tortured for his art has taught him. Too much screen time is a challenge for parents and children alike. Even the tech industry is worried. Cisco CEO Chuck Robbins said parents need to be more assertive. "For some reason, we’ve gotten into this mode of being friends. It’s horrendous. We give them all these devices." The Open Data Institute's Neelie Kroes also warned that children spend too much time on smartphones and tablets. 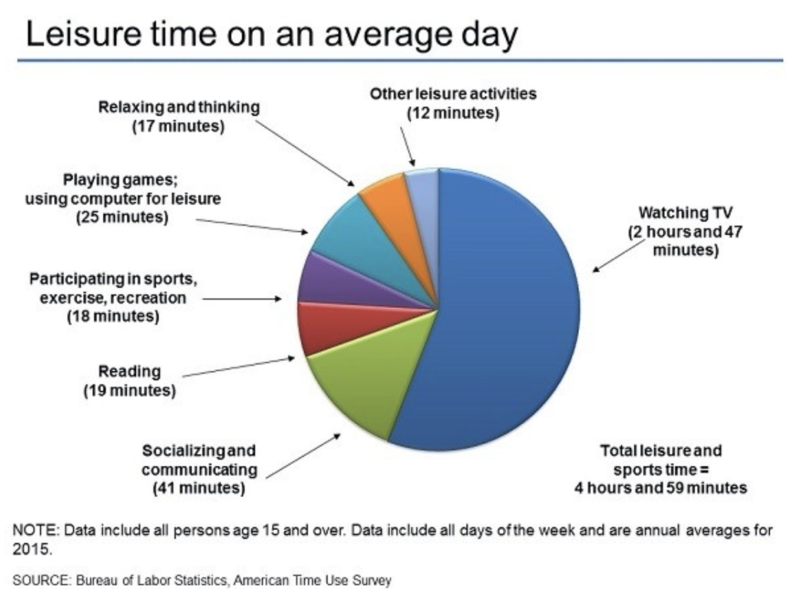 Childhood habits last: here's a look at how Americans spend their free time. Let the next chapter in human history be based on the narrative of ideas, not the narrative of conflict, said head of the European Organization for Nuclear Research (CERN) and Davos co-chair Fabiola Gianotti. "The history of humankind is often told as the epic rise and fall of great empires, clashes of civilizations and epoch-defining conflicts." "But another narrative is possible: a narrative in which human progress is chronicled as a smooth and continuous passage towards betterment for all. This is the narrative of ideas, and in particular, of scientific ideas." 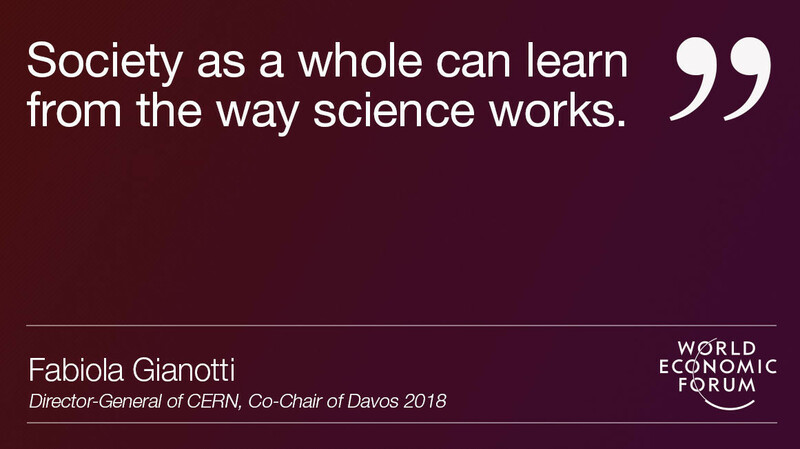 Gianotti shared how CERN was founded on the notion of science as a universal and unifying value. It fostered post-war collaboration between previously warring European nations. People reached out beyond their borders towards a common goal of furthering human knowledge. Science can be a vehicle for peace, said Gianotti. The CERN model is a template for cooperation in a fractured world. Canadian Prime Minister Justin Trudeau offered every leader in the room at Davos one "fundamental shift" they could execute immediately. "Hiring, promoting, and retaining more women. And not just because it’s the right thing to do, or the nice thing to do, but because it’s the smart thing to do." Trudeau quoted firm evidence that more women make countries and companies more profitable. Increasing the share of women in leadership positions from 0% to 30% translates into a 15% boost to profitability, according to The Peterson Institute for International Economics. Making the shift will require a "willingness to change the nature of work as we know it", said Trudeau. Leaders should establish parental leave and childcare policies, and gender-balanced corporate boards. They need to make sexual harassment systemically unacceptable. "More women in leadership positions won’t just grow our economy, create jobs, and strengthen our communities. It will also lead to innovation and change in the workplace." Antibiotics losing their effectiveness could be as serious a global threat as climate change. More than 700,000 people die every year from drug-resistant bacterial infection. By 2050, this figure could be 10 million - more than currently die from cancer. To prevent such a disaster, the world’s first Antimicrobial Resistance Benchmark launched at Davos. The framework will map how pharmaceutical companies across the world are taking action to limit the resistance of infection to antibiotics, helping the industry tackle the threat of superbugs. The whole of modern medicine depends on being able to control and treat infection, said director of the Wellcome Trust, Jeremy Farrar. As present antibiotics lose their ability to do this, not enough new medicines are being developed to replace them. The problem can only be tackled globally. This new benchmark gives the industry the tools to do this. What is the true impact of Davos? What does Davos do to improve the state of the world?